Seventeen-year-old Herbert Meister shivered in his machine-gun pit. It was bitter cold on this January morning. With numb fingers, he painfully unsnapped his bowl shaped helmet to readjust the scarf muffling up his head. For days, the weather had been a succession of daytime thaws with snowmelt dripping from spruce boughs and cold nights that froze everything stiff. From his position, there was little to see. The morning fog reduced visibility to nil. For the young school boy from Landau, the happy and carefree days he enjoyed in the Hitler Youth seemed another world away, though only six months passed. Propaganda had depicted combat as a glorious world filled with heroes defending the Fatherland. After six weeks of basic training, he had joined Fallschirmjäger-Regiment 5, joined it in the middle of a winter battle where there were no heroes, no glory, just death and misery. 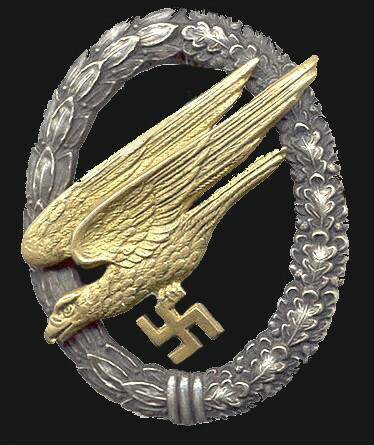 At this late stage, German airborne forces had little in common with the early war “Green Devils” or even with their brothers who fought in Normandy. Paratroop units now had numerous soldiers from disbanded Luftwaffe ground formations and young recruits without combat experience. Despite the odds against them, Herbert Meister and his comrades had fought hard for the last two days against repeated attacks from the U.S. 16th Infantry Regiment. The paratroopers had lost the village of Faymonville and now held a thin line between Mon Antone and Schoppen. After capturing Faymonville, the 16th Infantry began a large sweep aimed at clearing the territory between there and Bütgenbach. 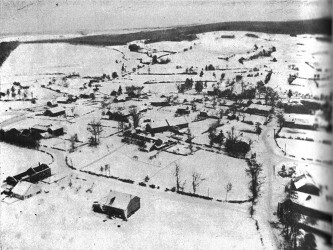 The next objective was the hamlet of Schoppen. 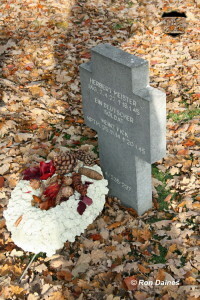 Herbert Meister and the other Fallschirmjägers heard American mortar fire and armored vehicles in the distance. They waited at the ready. Suddenly, shouts and automatic-weapons fire came from nearby. Intense rifle fire chopped off low branches and pelted the Germans. OD clad figures flanked the paratrooper’s line and overran the positions. The engagement turned into a wild melee and hand to hand fight in which Herbert lost his life. The exact circumstances of his demise remain a mystery. In the mid-1980s, Seel and Speder expanded their search area to the sectors adjacent to Elsenborn Ridge. At the time, there was no Internet, and the available French-language books seldom mentioned the Northern Shoulder of the Bulge. Seel and Speder developed their battlefield knowledge from site reconnaissance as much as secondary sources. On June 8, 1987, Seel decided to venture into the Schoppen area, an area of scant interest to relic hunters. His steps brought him to a marshy region north of Schoppen and beyond to a wooded hill. There, he found typical traces of battle in the form of shell fragments. As he climbed the hill, the forest became denser and opened on pastureland and the village of Schoppen. He stayed under the low branches and followed the forest edge. It held dugouts which contained German equipment. Seel also noticed duplicate bones and unearthed a second skull. This one had no facial bones and no mandible. It was a sobering sight and alluded to a violent death. Unfortunately, the second soldier had no dog tag. As Seel removed the remains, Emile Jacquemin, a retired Faymonville farmer, arrived on scene. Emile, who had been drafted into the German Army, was interested in the recovery and jumped in the hole. The scene was familiar to him. He told Seel that he had buried many friends that way on the Eastern Front: head deep in the crater center and boots emerging from the ground at the crater rim. The intent was to cover the body just enough to hold down the odor of rotting flesh. 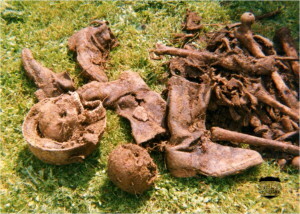 The footwear left visible served as a marker for a later recovery. Emile Jacquemin added that locals also used that method to bury soldiers found on the battlefield after the war. When Seel commented that both German paratroopers had no belts or other equipment, Emile said they were probably found and buried by civilians. At the end of the war, all the nearby villages were in ruins and life was difficult. The locals salvaged everything useful. Military belts fit civilian pants, helmets made improvised poultry feeders, and hobnailed boots found a second life as work shoes. 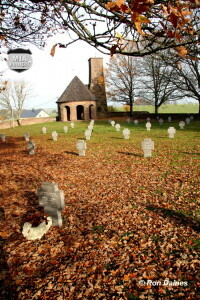 Recogne German military cemetery with Herbert Meister’s grave in the foreground. 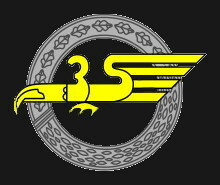 Seel immediately informed Speder, and they contacted the Deutsche Dienststelle in Berlin. 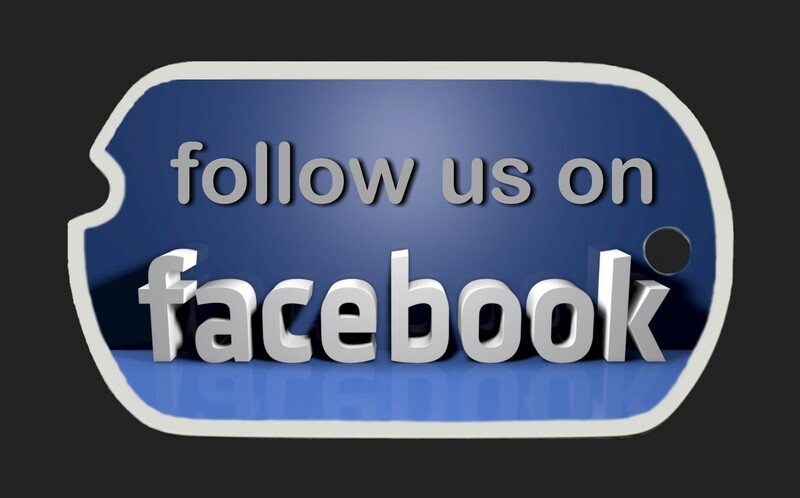 This federal agency maintains military personnel records and is similar to the U.S. National Personnel Records Center. Several weeks later, an official letter informed the Belgians that the dog tag identified a young paratrooper by the name of Herbert Meister, killed on January 16, 1945, as a member of the 8th Company of Parachute Regiment 5. The Deutsche Dienststelle also instructed Seel and Speder to deliver the remains to the German military cemetery at Recogne for burial. The day of the delivery, the cemetery superintendent met the Belgians and complained that the recovery had created problems for him. 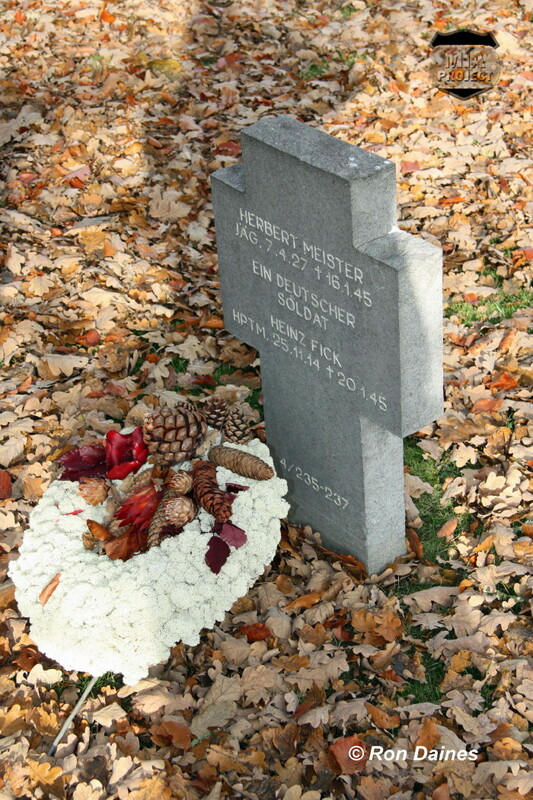 With complete astonishment, Seel and Speder learned that Herbert Meister was already buried in Block 4, Grave 235. Berlin had ordered the superintendent to disinter the misidentified remains and replace them with those recovered by Seel. The superintendent said that was out of question. Both remains would end up in the cemetery’s mass grave, no individuals graves, not even as unknowns. The superintendent grabbed the bags containing the bones, said farewell to the Belgians, and strode back to his office. Disgusted by the incompetence and disrespect shown by the superintendent, Seel and Speder left the cemetery, vowing that would never happen again. Three years later, the Berlin Wall fell, and Germany reunified. 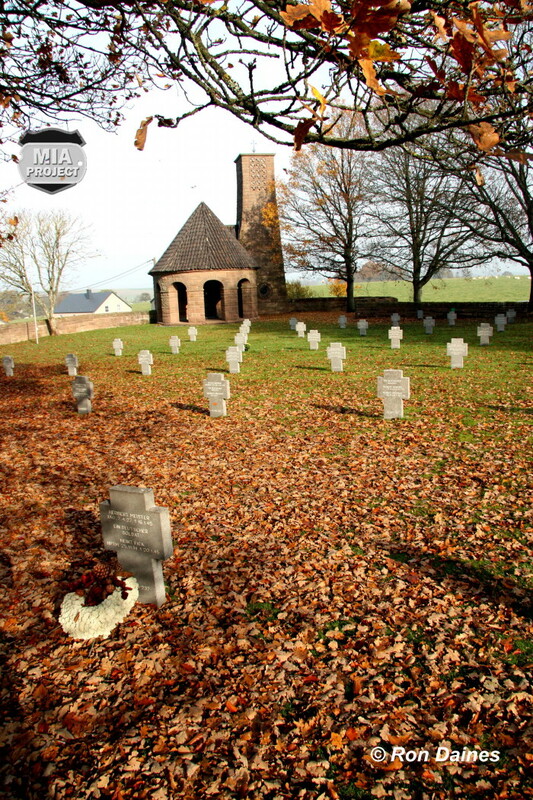 Afterward, the Deutsche Dienststelle and the German War Graves Commission found themselves overwhelmed with thousands of war dead recovered in the east. This exceeded their capabilities and precipitated reform and reorganization. 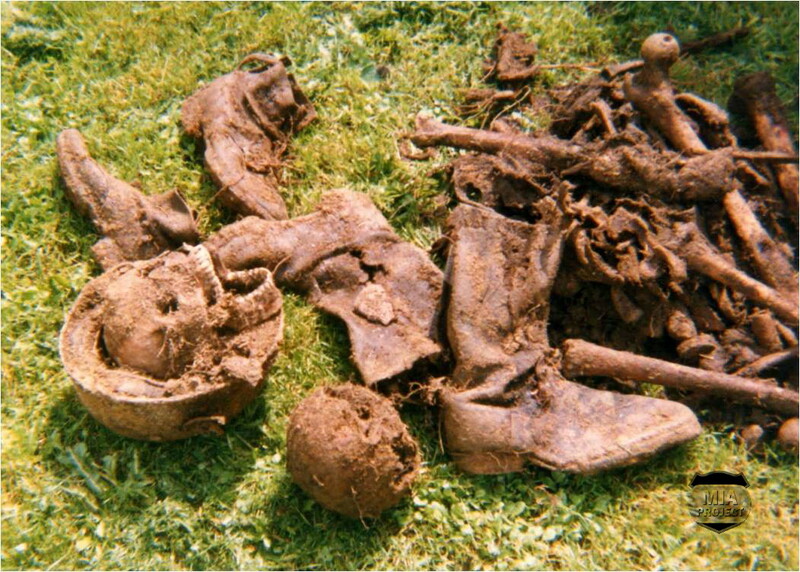 Today, every effort is made to identify remains recovered on the battlefield (see Slaughter on a Remote Hill). 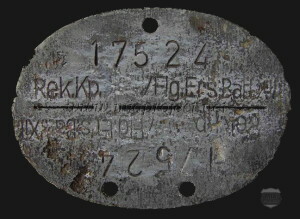 However, unlike their American counterparts, the German War Graves Commission still makes no attempt to identify remains recovered without a dog tag or other identification media. We can only wonder why. Lack of funds? Lack of archival support? Bureaucratic indifference?